We'd love to hear from you! Please fill out the form to the right and we'll be in touch with you soon. Would you like to receive special offers and updates from Bay + Boardwalk? Custom letterpress and paper goods printed by the bay. Bespoke letterpress wedding invitations, personal stationery and greeting cards for every need. 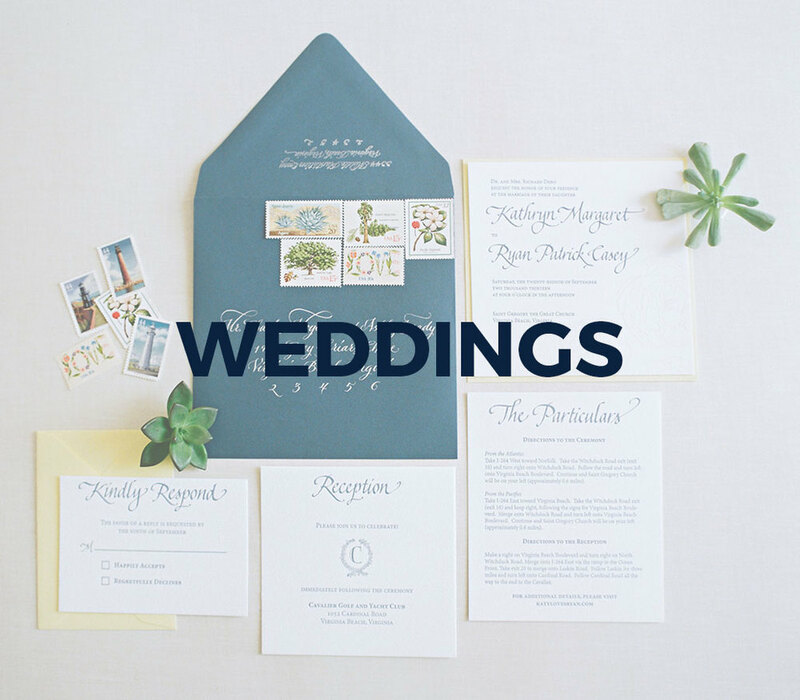 Bay + Boardwalk is a full service design and print company offering custom letterpress goods - from wedding invitations to art prints and everything along the way. We think each printed piece is truly a work of art and would love to know how we can help you with your special project. We respect your privacy + your inbox. We will never share your info with others or send you too much stuff.